Planck Aerosystems builds unmanned aerial systems (UAS) for maritime pro- fessionals. 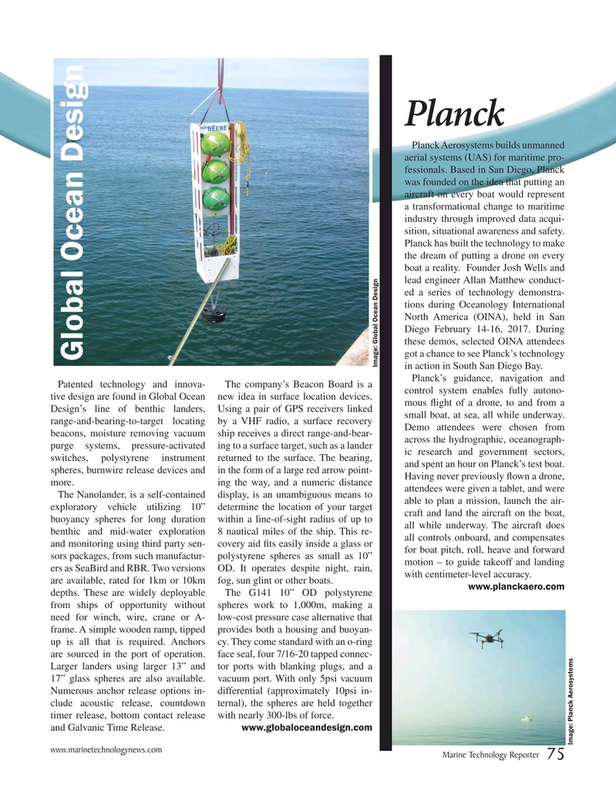 Based in San Diego, Planck was founded on the idea that putting an aircraft on every boat would represent a transformational change to maritime industry through improved data acqui- sition, situational awareness and safety. Image: Global Ocean Design in action in South San Diego Bay.